Veoneer was the Champion in the SRR Field with a Share of 32.4% and Bosch Ruled the LRR Segment with 40.1% Shares in the Chinese Millimeter Wave Radar Market in January 2019. It is shown from our survey of suppliers who provide radars for nearly 90 passenger car models in the Chinese market in January 2019 that these car models swept over 96% of total radar installations -- the number of OEM radars mounted on cars consumers have bought. 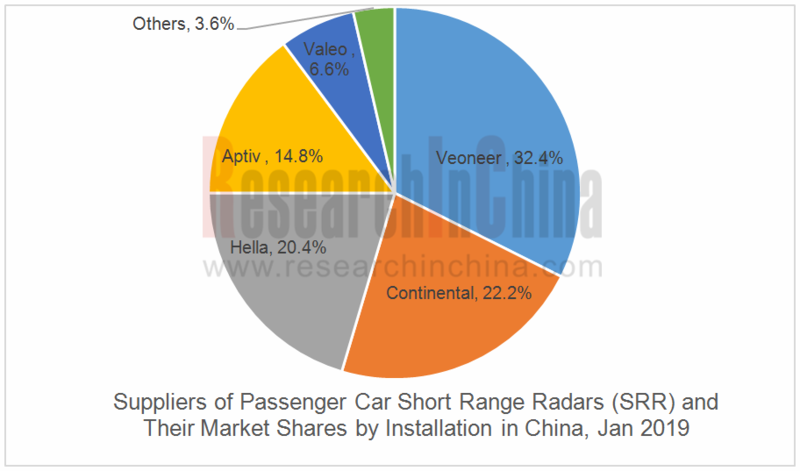 In January 2019, Veoneer grabbed the largest share of 32.4% in the Chinese short-range radar (SRR) market; and Continental, Hella, Aptiv and Valeo were in the second to fifth places, with a respective share of 22.2%, 20.4%, 14.8% and 6.6%. 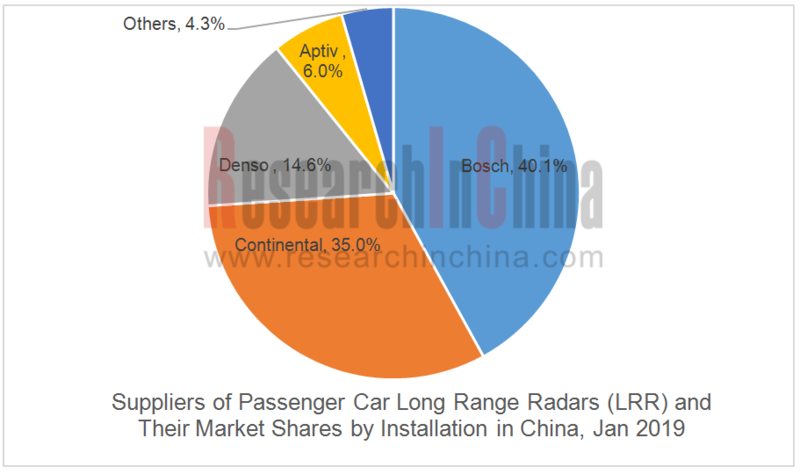 In January 2019, Bosch came to the top spot with a share of 40.1% in the Chinese long-range radar (LRR) market; and Continental, Denso and Aptiv which commanded 35.0%, 14.6% and 6.0% of the market, respectively, were positioned at the second to fourth places. In the first two months of 2019, China produced 3.137 million passenger cars and sold 3.243 million units, slumping by 16.8% and 17.5% from the same period last year, respectively. Yet radar market bucked the downtrend during the period, with installations in passenger cars surging by 20.5%, of which 77GHz radars enjoyed a 64.1% spurt while the 24GHz ones shrank by 2.2%. We will follow up the developments of the Chinese radar market and release a report on supplier’s market share and installation each month. We also have concurrent research topics for you in the form of market share and installation reports, such as head-up display (HUD), surround view system, T-BOX and forward-looking camera. Your interest in us or consultation is well welcome.